Since 1986, Hunter’s Tree Services has worked hard to build a reputation offering exceptional, professional tree care by only employing specialists who hold the required certification. 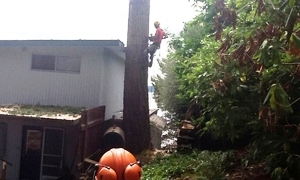 Our certified arborist is here to serve all of the tree care needs of Lakewood, WA area property owners. By working with a certified arborist who is trained to offer tree care, you are sure to be happy with the healthy look of your trees. If you are lucky, your Lakewood area yard boasts tall, mature trees. 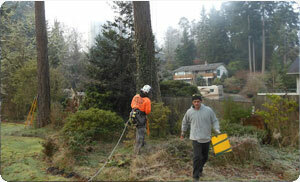 Pruning such trees can be quite a task and sometimes dangerous for surrounding structures or people. A certified arborist is trained to climb these trees and ensure that they prune the branches in the safest manner using only the appropriate equipment. It is important to bring in a certified arborist to ensure that your Lakewood area trees are properly cared for, and tree care close to cables can be a difficult and hazardous job. 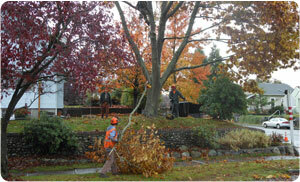 However, a certified arborist is well-equipped to handle tree care around cabling and in Lakewood area town areas. We make it our mission to ensure that your Lakewood area trees receive proper tree care from a certified arborist, even at some bad times, by offering 24-hour emergency services. If you are interested in having a quote drawn up for your Lakewood area yard, please call us at 253-777-1938 to discuss your yard’s trees.